This year staff at GN Systems are getting silly for a serious cause. 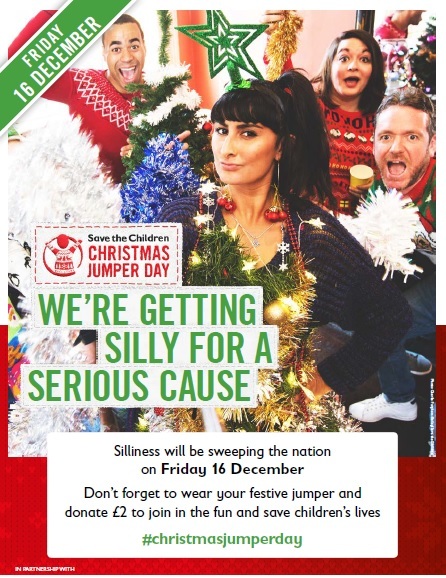 We are taking part in this year’s Christmas jumper day on Friday 16th December. 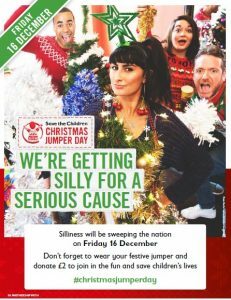 Where the wackiest, tackiest, most crazy jumper will win a Christmas hamper kindly donated by the directors. We are raising money for Save The Children, if you would like to donate £2 please text TEAMGNS4 to 70050. On top of that the local food bank URBAN OUTREACH are looking for food donations, and we are actively looking to donate as much as we can, including non perishables & toiletries to those less fortunate. If you wish to donate, please drop off any items to us at reception.